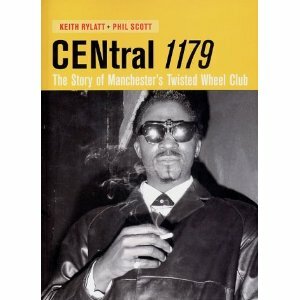 This long awaited book on the legendary Twisted Wheel club in Manchester, Lancs is a serious piece of reading. 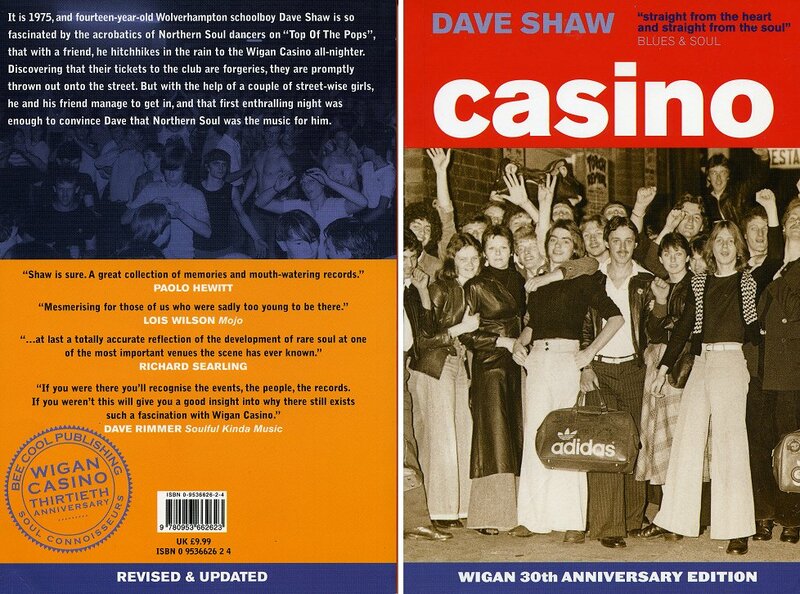 A must for anyone interested in British popular culture, Mods, suedeheads, black music, 1960's club scenes, the development of Northern Soul and the Manchester scene. Being far too young to attend, I have visited numerous reunions and imagine that the Twisted Wheel, along with London's Flamingo Club was the most exciting club ever.Perhaps a little too much info on the early years and beat/white R&B bands, but the latter years provide fantastic reading! Great photos. I cannot recommend this book enough. I truly hope a part two is written. 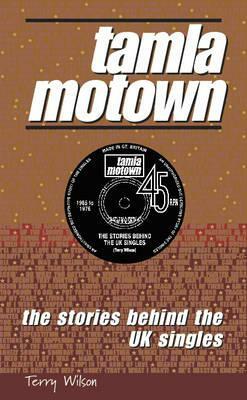 While providing a full discography of Tamla Motown's UK singles, this book tells the stories behind them in fascinating detail, turning what could have been a dry listing into a very human narrative. Terry Wilson's painstaking research means that even soul experts will find facts they weren't aware of as he takes a popular music phenomenon and, for the first time, examines it from a UK perspective. The first definitive guide to the UK output of Berry Gordy's legendary US labels. This is Rob McKeever’s second book, (The first was ‘Northern Soul In Barrow’) and this time he’s focused on Ginger Taylor. It’s a good read, full of anecdotes, both on the scene, and off, lot’s of photos, and comments from people who know Ginger. 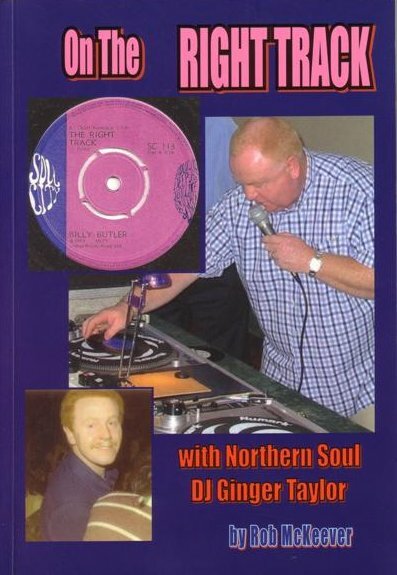 Let’s face it, Ginger has been one of the top DJs on the Northern scene for years, and it’s a well deserved reputation, the book just confirms what a nice guy he really is . If you’ve got a spare ten quid, and a spare afternoon, buy the book and read it. Dave. The secret story of the Twisted Wheel Club Manchester: where Northern Soul began. The insider story of the Manchester Soul Mods, their music, and their drugs and their clubs: The Twisted Wheel. A tale about a Soul music deejay that lost his girl and almost lost his mind. 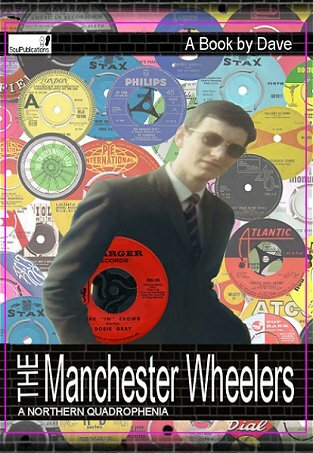 The story of the Manchester Wheelers is not about a bicycling club, its all about American Soul music in a Northern English town in the sixties; a gritty Northern Quadrophenia that charts the Genesis of what has now become the phenomenon of ‘Northern Soul’. And it all began in MANCHESTER. 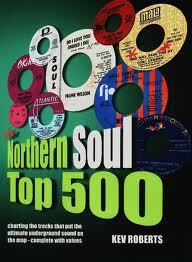 I came across a great book today, ‘The Northern Soul Top 500′ by Kev Roberts. 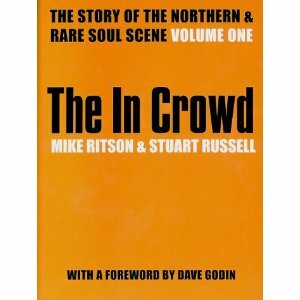 This book is a masterpiece collating the top 500 most collectable Northern Soul records that have so far been uncovered. Histories, photos and lables are all here for you to drool over. The number one single is Frank Wilson's 'Do I Love You', only discovered in the late 70's - an instant smash at Wigan. There are only two copies of the original in the world and the last one sold fetched £15,000 - thankfully available now on CD compilations. Some of the prices will scare you but the book will fascinate you. During the 80's the movement took a serious turn for the worse, however with the advent of the 90's and CD's, things could not be more healthier. All-nighters abound once more and the original Wheel/Torch/Mecca/Casino goers are returning along with newcomers eager to see what the attraction is. Quite simply, there is no other music scene that offers you everything - from friendships still strong after 20-40 years to dancing that makes all other forms look clumsy, also the willingness to embrace artists whose initial attempts at success were confined to warehouse floors and had to wait for DJ's and collectors coming over from the UK in order to find worthy fame.